You’re probably surprised by the title of this post. You may even be wondering if President Obama had an epiphany on the road to Greece? We need to put an end to illusions: it’s not the public sector that creates jobs. To believe that injecting billions of euros [into the economy] is the key to growth is an idea of the past. You don’t make a nation richer by taking money from one pocket and putting it in another pocket. Particularly when the net effect is to redistribute funds from the productive sector to the government. I’m glad Mr. Stubb has figured this out. I just with some American politicians would look at the evidence and reach similarly wise conclusions. The Obama Administration, for instance, still wants us to believe the faux stimulus was a success. 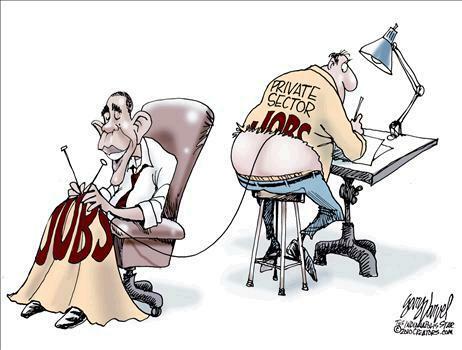 And speaking of our President’s views, this Gary Varvel cartoon isn’t new, but it’s right on the mark. Any “job” created by government spending necessarily comes at the expense of the private sector. 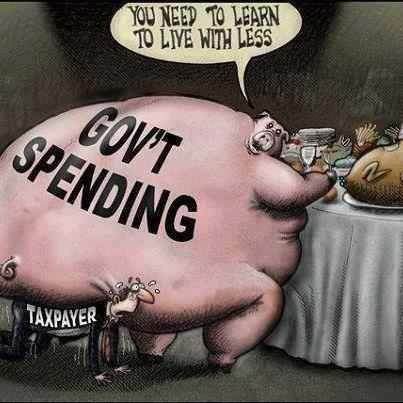 And since I’m sharing old cartoons, here’s one that also is a nice summary of what happens when government gets bigger. This cartoon definitely belongs in my collection (here, here, here, here, here, here, here, here, here, here, here, and here) of government as a blundering, often-malicious, overweight nitwit. P.S. Other European policy makers have admitted that Keynesian economics is a farce. P.P.S. 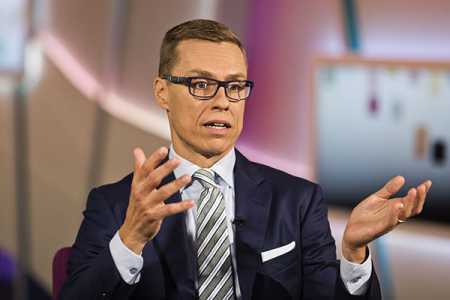 Finland has the world’s 7th-freest economy, significantly better than the United States. P.P.P.S. If you want some humor about Keynesian economics, click here. P.P.P.P.S. If you prefer tragedy instead of humor, here are some horrifying quotes by Barack Obama and Hillary Clinton. on December 22, 2014 at 5:15 pm The Liberty Herald – The Final Nail in the Keynesian Coffin? I don’t think that there are lot of people that actually “believe” in Keynesianism. It’s just that it is an ideology that gives the government “scientific” background for mass robbery and borrowing in the taxpayers’ name. Totally agree that Keynesian economics are a joke. Just before Keynes died, he had started to write a rebuke of his own work; but died in suspicious cxircumstances before he could finish this.